Everlane was one of my first blogging discoveries back in the day. Back then, they only made one item - a t-shirt. And I fell for it hard. I've reviewed it, I've worn it, and now I own at least 15 of their shirts. I wear one every single day (my home uniform is always black leggings, Everlane tee, and a drapey sweater). It just hits me in all the right places, it's not see through, and it holds up so so well. 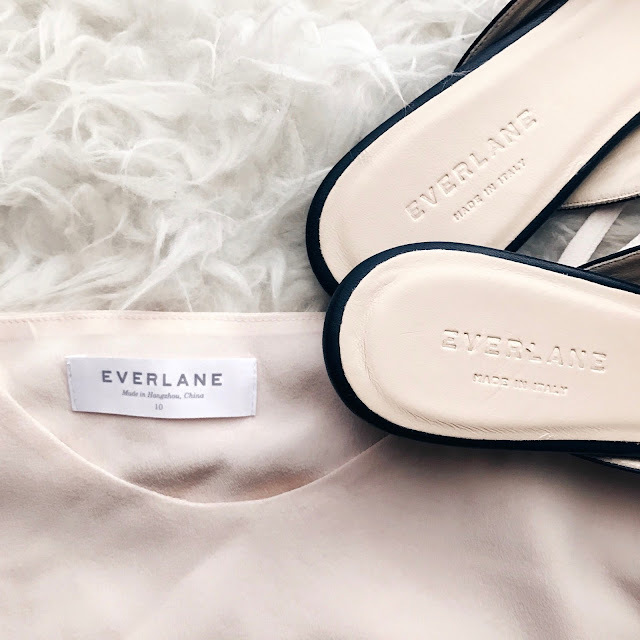 Over the years, Everlane has added more to their collection of clothing, always staying true to their "radical transparency" tagline about knowing where your clothes come from, how much they cost to make, and where the money goes. I own probably a dozen of their items besides the tee - I carried their backpack for all of first and second year of school, I wear their dress pants, their pocket tote is my gym bag, and I own several of their silk blouses and dresses. Not every piece they make works on my frame - some items run boxier than others, but they now have such a wide variety of items that I always find something I love in their new arrivals. Check out a few of my favorites below - that back zip tee looks just like my beloved BR tee, and the silk v-neck blouse would be perfect for the summer. 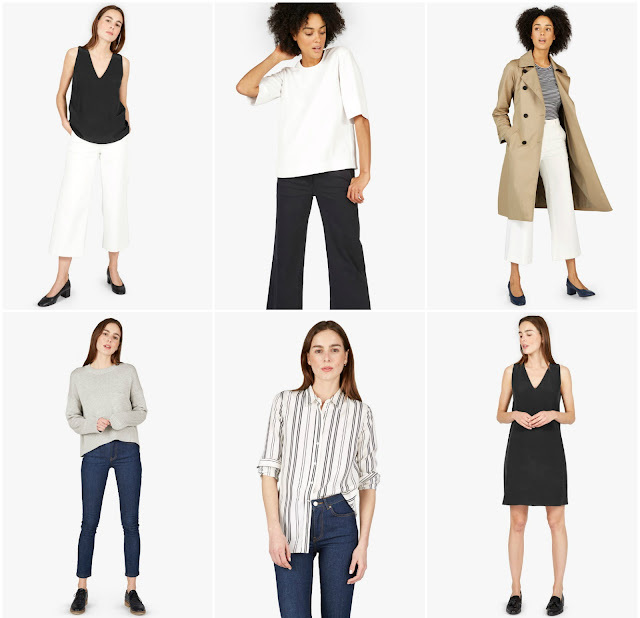 Basically, I'm a huge fan of Everlane, and have been for years and years. To celebrate my "blogging anniversary" this week, I want one of you to experience and love Everlane as much as I do, which is why I'm giving away a $100 Everlane giftcard. You can enter the giveaway below - open to US, Canada, and Australia only as that is where they ship.